When it comes to buying in France, there is nothing worse than hearing about people who have found their ideal property, agreed a purchase price and signed a sales agreement but have then been unable to secure the necessary financing. It’s frustrating because it is completely avoidable by using a mortgage broker to obtain a financial agreement in principle from a bank. In this article we’re going to look at how securing an ‘agreement in principle’ can aid the purchasing process in France. As a rule, it’s best to confirm your eligibility for a mortgage as early as possible. So pick up the telephone and call a reputable, English-speaking French mortgage broker! That will bring two immediate benefits: it provides peace of mind about your ability to qualify for financing and allows you to set an accurate budget for your purchase. The broker will be able to look into your specific requirements and circumstances, and match these up against lending criteria and the mortgage products available. 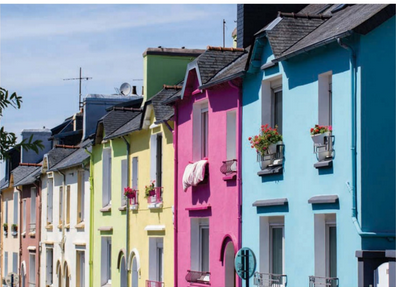 Once you’ve determined which mortgage product suits you best, it’s time to secure a full financial ‘agreement in principle’ with a French lender. To do so, you’re required to complete the lender’s application forms and submit a complete set of supporting documentation. Within five-to-seven working days, the bank will issue a positive financial decision which is subject to a property, a valuation of the same and a life insurance policy. It’s important to note that the advantages of the agreement in principle extend further than you might think. Put yourself in the shoes of the vendor for a moment: in the vast majority of cases, one of their key concerns will be the quick, smooth sale of their property. The fact that you possess an agreement in principle sends a very clear message that you’re a serious buyer who’ll fulfil their obligations during the purchase. In addition, if the vendor has received similar offers from a number of prospective buyers, they’ll be happier to negotiate with a buyer who has been pre-approved. bear fruit, you won’t need to worry about the pre-approval. Once you’ve found a property, you’ll need to update your bank statements and provide a copy of the sales agreement but, effectively, most of the legwork has been done. Finally, you won’t be tied into a particular mortgage product or loan amount, which gives a lot of flexibility. When you find the property you want, you’ll be able to decide to choose an interest-only mortgage rather than a capital repayment type; request slightly more money; or even buy a new build in the Haute-Savoie rather than go for an existing Dordogne property. As long as you qualify for these changes, the bank will be perfectly happy to reassess your application to meet your needs. If you need more information, or wish to discuss a specific project, please contact our FrenchEntrée mortgage consultants.